If you’re one of the millions of Americans whose current passport is set to expire in 2016, the State Department urges you to renew it as soon as you can. Procrastination never ends well, and this year, resisting the temptation will be especially crucial: Officials are anticipating a surge of 10-year passport renewals that might end up complicating travel plans for many unlucky citizens. A decade ago, the State Department became overwhelmed by a flood of applications from Americans hoping to receive passports for the first time. The influx was the result of the Western Hemisphere Travel Initiative, which began requiring passports for citizens flying back to the U.S. from Mexico, Canada, the Caribbean, and Bermuda in 2007. In an effort to better handle the same level of congestion this time around, officials are recommending Americans renew their passports as soon as possible. First-time applications for passports have also been on the rise, thanks in part to citizens from states that have not yet complied with the Real ID Act. When the law—which set stricter standards for photo IDs—goes into effect in Illinois, Minnesota, Missouri, New Mexico, Washington, and America Samoa, people from those parts of the country will be required to show an alternative form of identification to their license (like a passport) for flights within the U.S. The act doesn’t go into effect until January 22, 2018, but many seem to think the deadline is just around the corner and are taking action now. 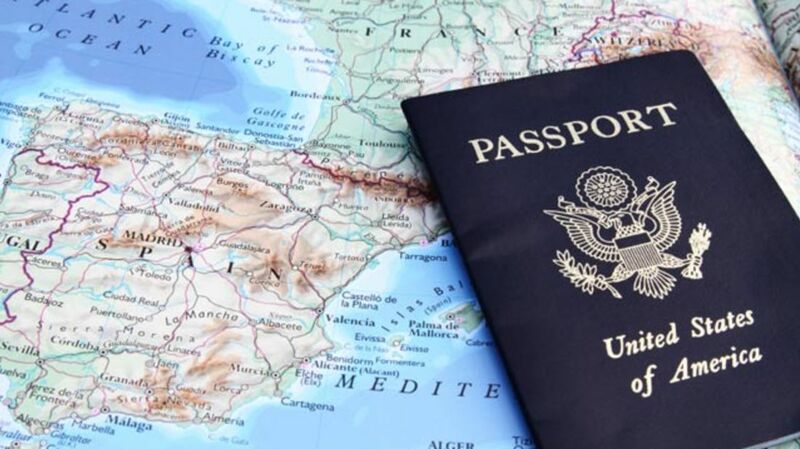 Another good reason to renew your passport sooner rather than later is that many countries don’t recognize passports that are less than six months from expiring. This year's holiday season may seem like a ways off, but taking care of your passport situation now will ensure smoother travel plans at the end of the year. Most U.S. citizens can renew their passports by mail for a $110 fee, and should expect the process to take up to six weeks. Those seeking a first-time passport must visit a designated agency and submit the application in person.